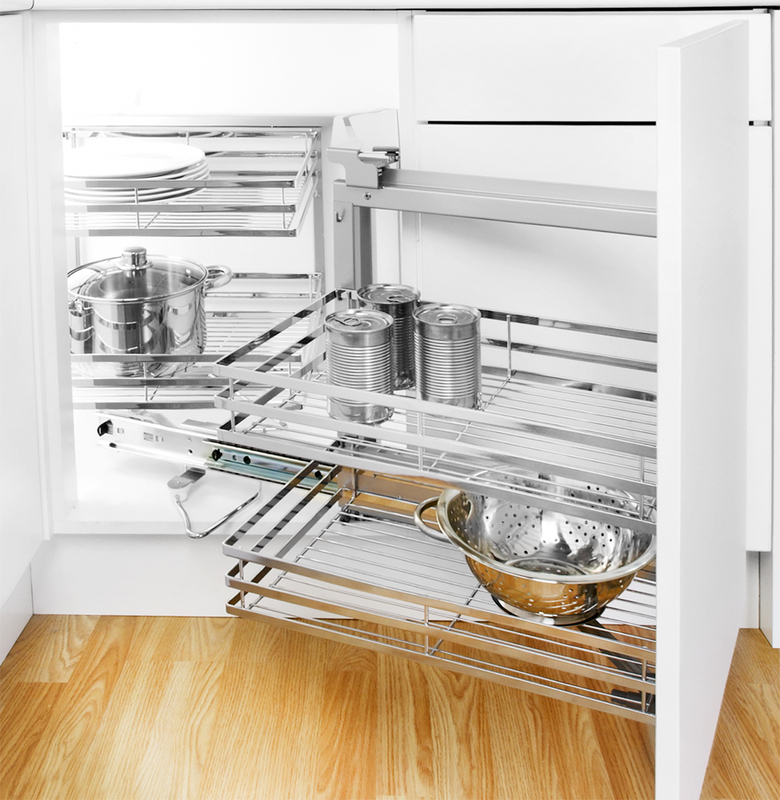 Regardless of the size of your kitchen, storage always seems to be a problem. 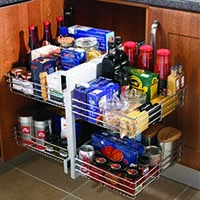 It’s always difficult to organise your kitchen storage and items, often hard to reach corners sit empty, whilst worktop and cabinet space can become cluttered and badly organised. Fixing this problem however, doesn’t have to be complex, many people wrongly assume that adding extra kitchen storage space is a big job, but small changes, such as the addition of corner storage products can make all the difference, at an incredibly low price point. To this end, we stock and supply a wide range of corner carousel units. These units are unsurprisingly most suited to corner cabinets and awkward L shapes. Their operation is simple, they are fixed directly to the cabinet’s corner post and swivel on this point. 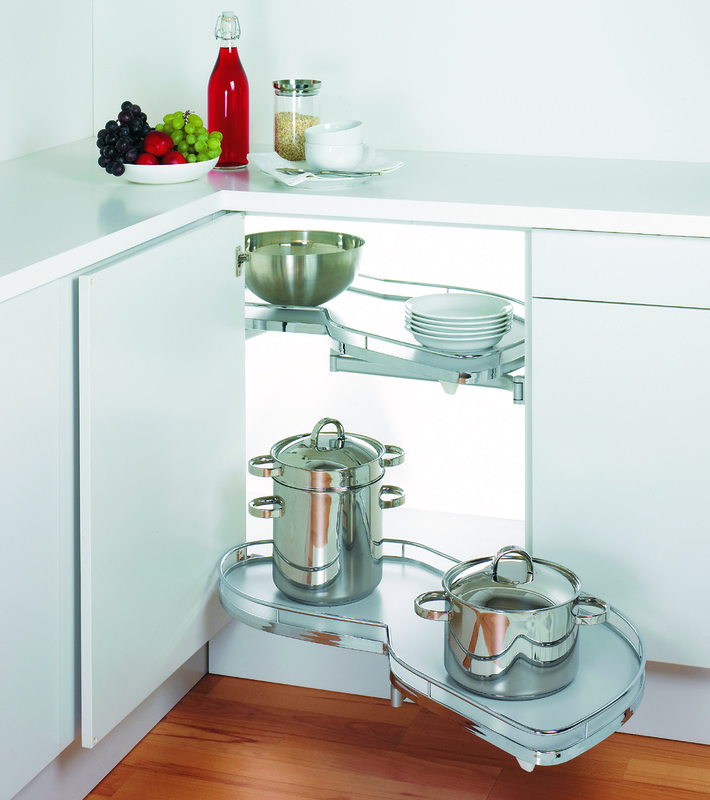 Allowing you simple and functional extra storage space for both kitchenware and foodstuffs.